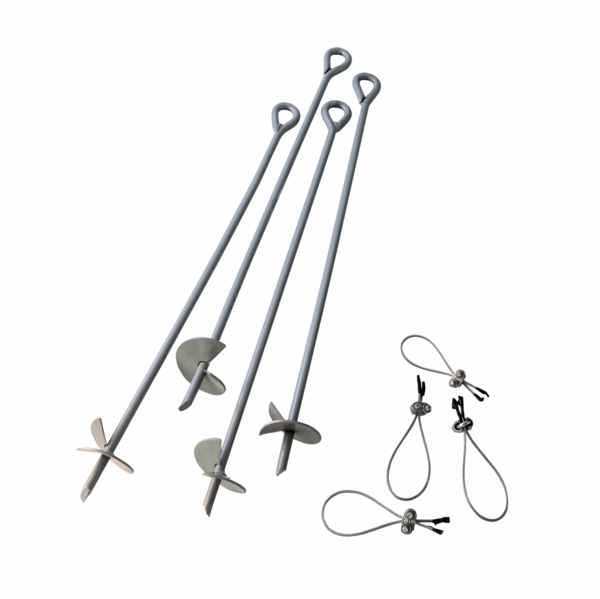 Secure your canopy firmly in place with these replacement auger anchors. Each pack comes with four 30-inch auger anchors and the necessary hardware. The special corkscrew design feature allows the auger to dig deeply and hold securely in grass, clay, unpacked soil, and even asphalt. Made of heavy-duty powder coated steel, these auger anchors will withstand multiple uses. Keep your canopy exactly where you want it to be with these replacement auger anchors from Shelter Logic.